I’ve been dreaming about this meal for over two weeks now, but I wouldn’t let myself make it until I started my Whole30 as on of my celebratory “yay for me” meals. I could eat this daily, for a week, and be content. 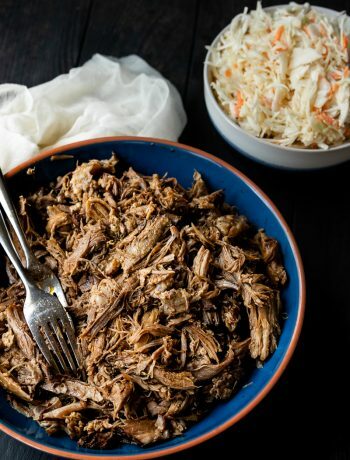 It’s quick to prepare, tastes incredible, and is loaded with good-for-you things like omega-3s, healthy fats, fiber, all of that and then some. Did I mention it’s also vegan but your meat-eating significant other who would have scoffed at the idea of a vegan meal while you were dating enjoys it too? Yup, not that this is personal experience talking or anything. I first tried the idea of vegan but not-just-veggies tacos when a vegan friend of mine posted (or pinned) a link to Oh She Glows’ Layered Raw Taco Salad. Oddly enough, it happened around the time I was really into researching raw recipes but facing resistance from the Godfather when I suggested making any. This one looked really good though, so I didn’t bother asking him, made it, and probably gloated a little ungraciously during dinner when he really liked it. But it didn’t matter because nut “taco meat” was now a part of our repertoire. I know most of you aren’t vegan, I use animal products in the majority of the recipes on this blog, so my vegan follower numbers are itty bitty and likely entirely comprised of my former bakery customers who used to enjoy my vegan treats. You might be looking at this recipe a little suspect, but I promise you this is a great way to give a vegan dish a try. Imagine a Chipotle burrito bowl, then make it paleo minus the pterodactyl wings or whatever. 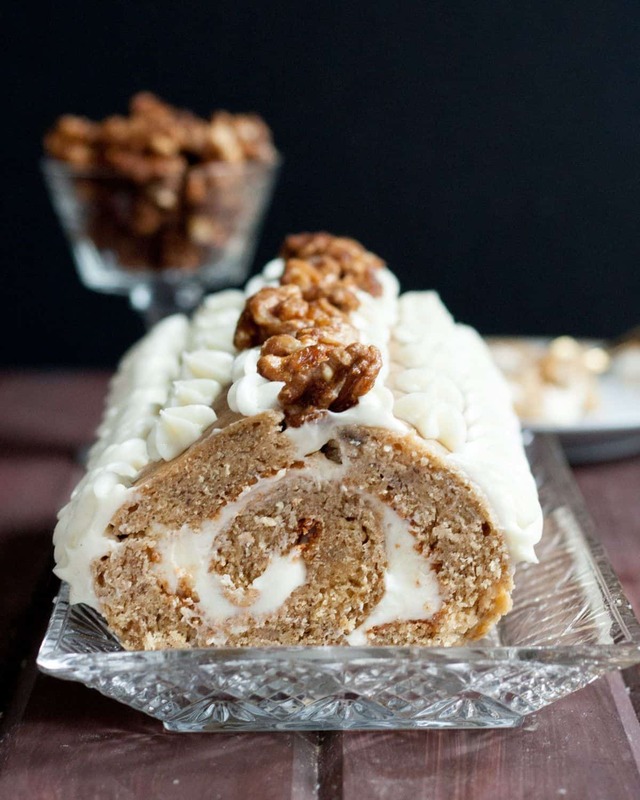 You may discover you really enjoy vegan cooking and incorporate a few dishes here and there. And really, isn’t this just beautiful food? 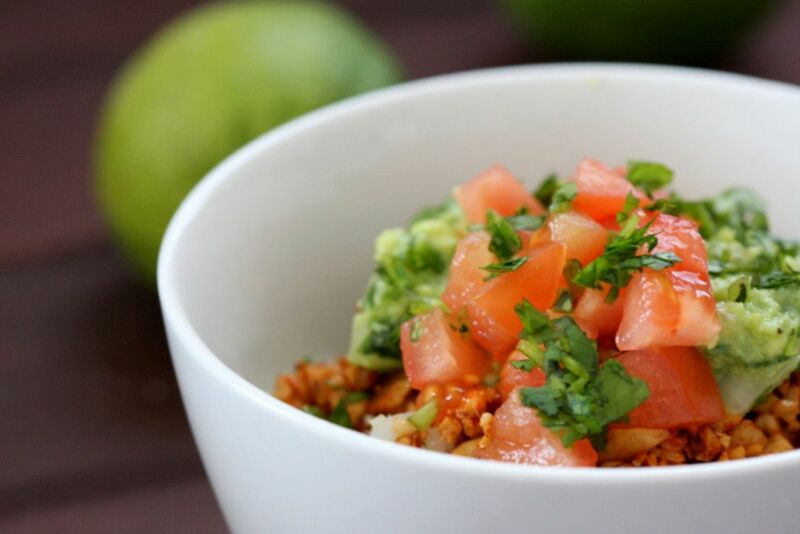 Vegan Taco Bowls with Cilantro Lime Cauliflower "Rice"
Set the nuts to soak in a bowl of water 2-8 hours before preparing the "meat". 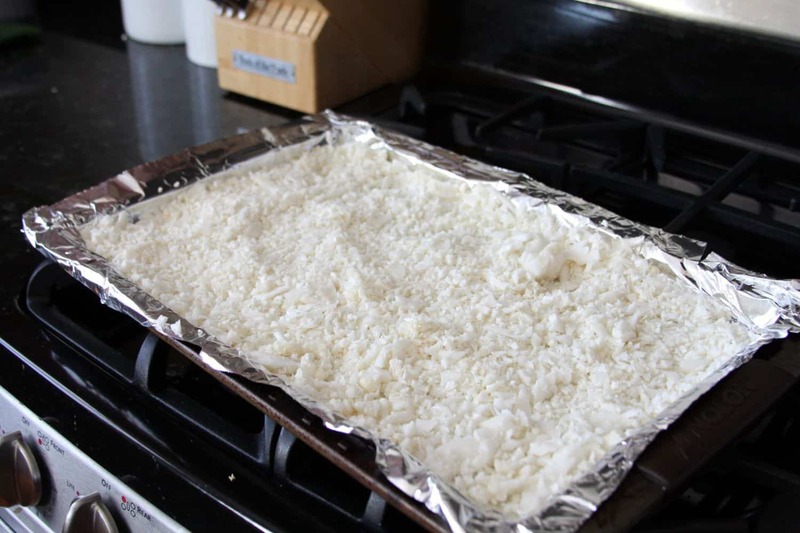 Preheat the oven to 375 F and line a baking sheet with aluminum foil. Finely chop the cauliflower into rice-sized pieces, or pulse in the food processor until the desired consistency. 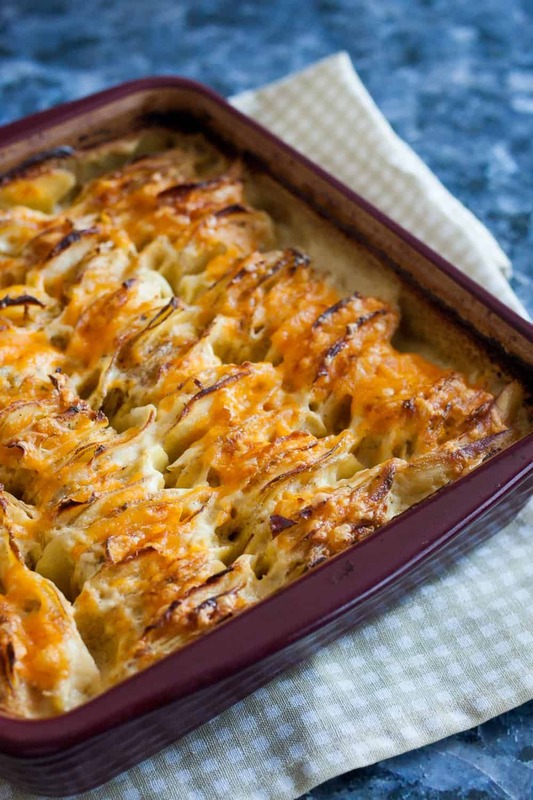 Toss with the oil and spread onto the baking sheet in an even layer. Bake for 18 minutes, stirring halfway through. 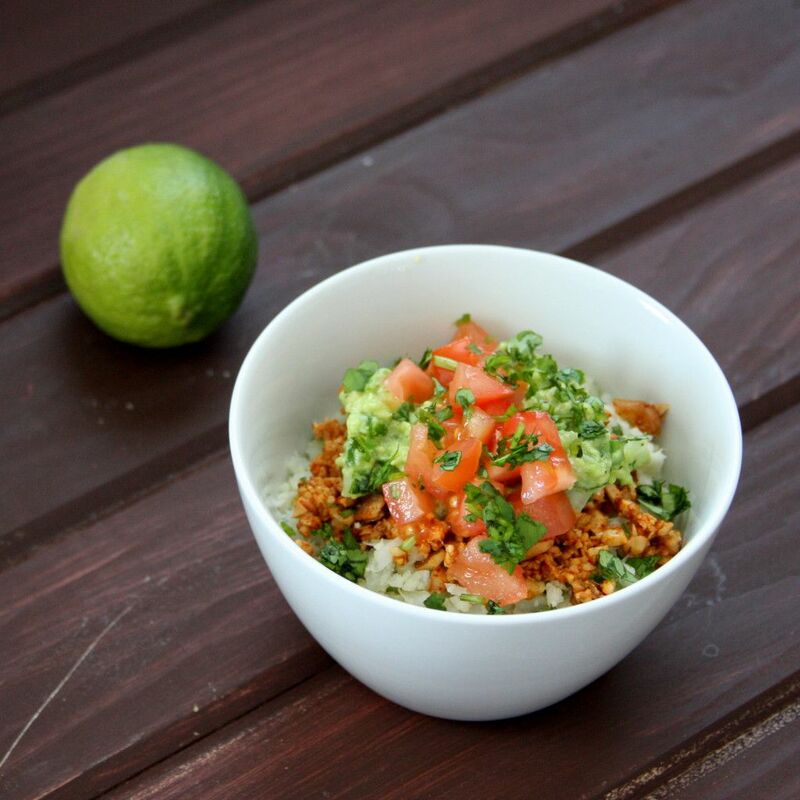 While the cauliflower rice is cooking, prepare the guacamole and taco meat. 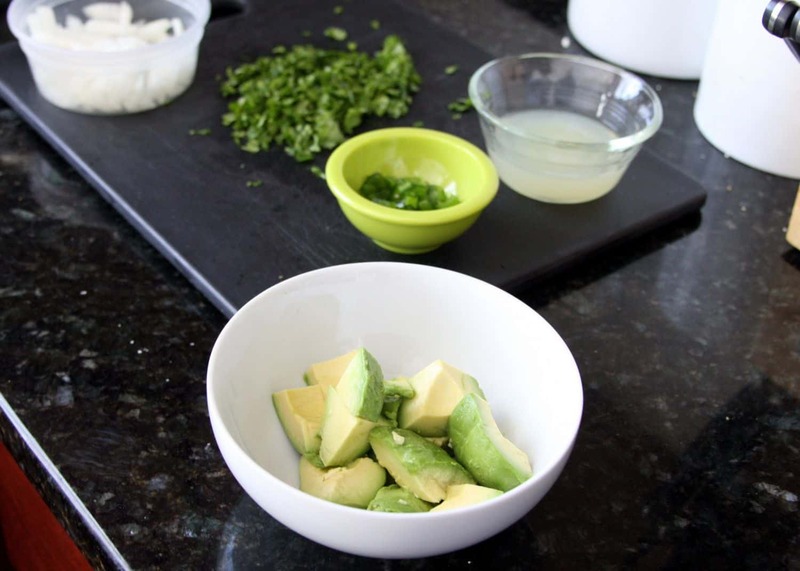 Cut the avocado into large chunks and place into a small bowl. Add the lime juice and mash the avocado to a chunky puree or your preferred consistency. Stir in the cilantro, jalapeno, onion and spices. Set aside. Remove the nuts from the water and place into a small food processor. Discard the water. Pulse the nuts until they've reached a ground meat consistency, I find about 5-7 pulses works. Transfer to a bowl and stir in the salt, cumin, garlic powder, and red chili powder. Set aside. 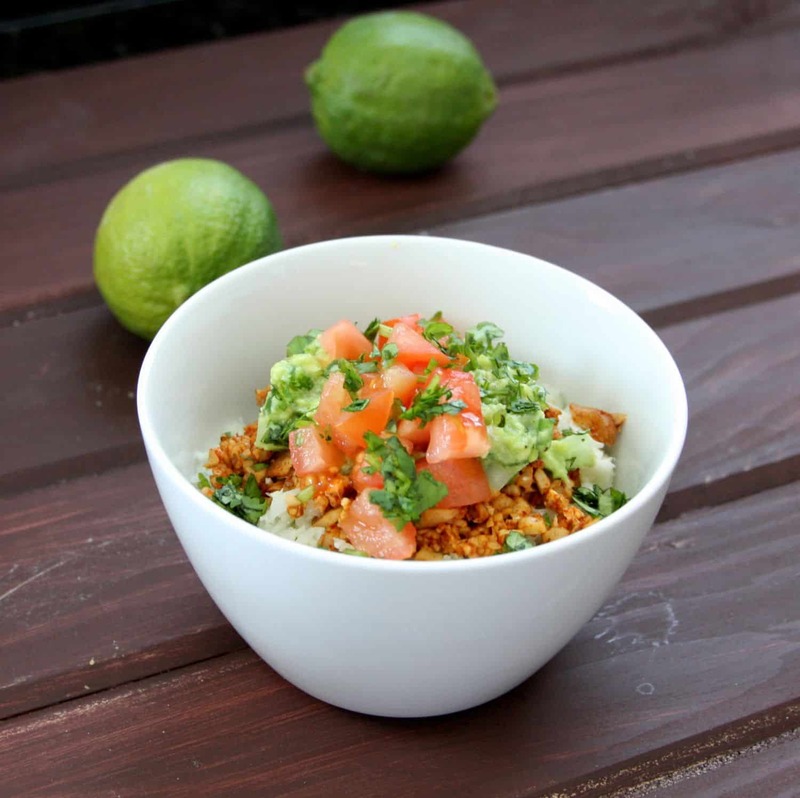 To assemble the bowls, layer 1 cup of the cauliflower rice in a bowl with taco nut meat, a dollop of guacamole, fresh tomatoes, and a sprinkling of fresh cilantro. Serve immediately with an additional slice of lime if desired.